Appearance: (7) Very colorful, but in an unsettling way. Only canned condiments and pre-made chips are ever that bright. Quality of Ingredients: (5) Jarred salsa, guacamole from a bucket, and the chips, while colorful, were a little stale. The chili was good but had a strange hint of summer sausage flavor, which, while not unpleasant, was a little odd. We were puzzled by the sour cream, which appeared to have some sort of chives mixed in, but with no discernible effect on the flavor. Distribution of Toppings: (6) While there was a fair amount of chili, the cheese was not entirely melted, which hampered distribution. Price: (8.3) In this age of nacho inflation, it’s nice to see a sizable plate of nachos, with chili for only $10. Overall: 26.3. These nachos were exactly what we expected from the place, nothing more, nothing less. Edible, even enjoyable, but worth neither a long review or a return visit. No one’s first time is all that great, right? 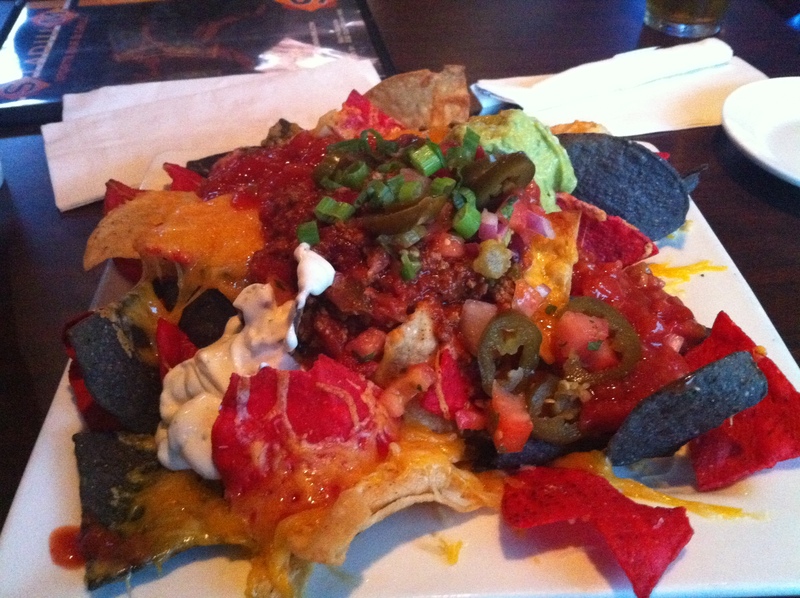 On to bigger and better Southie nachos!